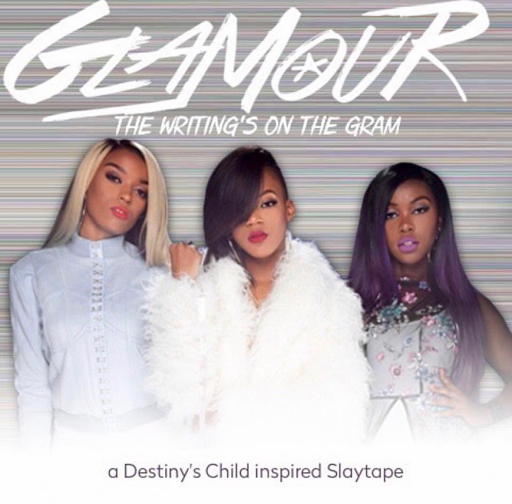 Atlanta girl group who was discovered by Kandi has been gaining momentum with their new found fame as they have unveiled covers of Bryson Tiller, Rihanna & Beyoncè. Now the trio who are signed to Kandi Koated Entertainment have chosen to pay rightful homage to Destiny's Child. They covered the legendary groups 1999 hit album The Writing's on the Wall & reworked it's title naming it The Writing's on the Gram. The three members Kaylan, Moriah & Ydal have put their very special flavor on 10 of DC's hit including "Say My Name", "Bootylicious" which is a mashup up of "Campaign" by Ty Dolla $ign & "Bills, Bills, Bills" that was perfectly penned by Kandi. If that wasn't enough they also added some original music called "We Are The Turn Up" & "Bye Felecia" including a snippet of their single "B.A.E".